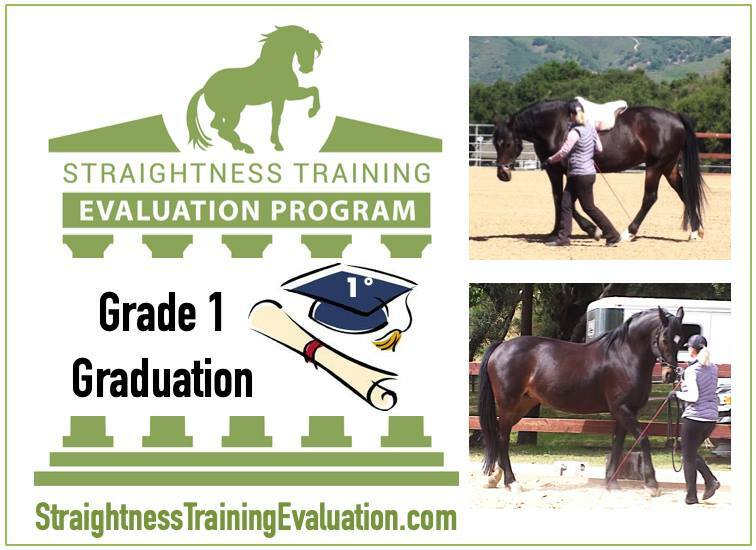 ST Mastery student Zuzanna Poprawski from the USA passed Riding 1 with her mare Aaghie and with that Touchstone, she passed all 5 Touchstones in Grade 1! “I have always LOVED horses but was not in a position to have one until my mid-thirties. I suppose you could say that I have worked all my life to be able to afford my own horse. Aaghie and I met in October 2006. She was a gorgeous, pushy, “green broke,” 4 ½-year-old Friesian / Thoroughbred who had lost her mom when she was just a day old. She was also smart, brave, and not at all intimidated by humans. The breeder said that no one could really get along with her, but we would be perfect for each other and I agreed because she was my dream horse. This story could have probably ended quite badly, but thanks to natural horsemanship, I learned all the foundational skills and habits that have helped Aaghie grow up to be an amazing mare and enabled us to have a wonderful relationship. Fast forward to Thanksgiving 2015 (how fitting! ), my friend Stefanie sent me a link to the ST Mini Mastery course and I loved the information so much, that I signed up for the full Mastery Course. Thank you, Stef! Starting in March 2016, I began submitting my Touchstones in the ST Evaluation Program. There are no ST instructors or advanced ST students in my area, so the Touchstones have been my compass to make sure I am on the right track. Every time I submit, the careful feedback brings me back to my true North – the ST essence. Our Grade 1 journey has been truly amazing. Over the past few years, Aaghie has grown stronger, more supple, and notably more symmetrical. This year I even had to start doing Pilates just to keep up with her! The physical changes in my mare are remarkable and very much what I had hoped and wished for when I joined the ST program. However, a somewhat surprising revelation in this venture was that the difficult and exacting physical work actually strengthened our wonderful relationship even more.